Why would I need self storage in Chanhassen, MN? There are a variety of reasons why you might need self-storage in Chanhassen, MN. How much is a storage unit in Chanhassen, MN? The cheapest storage unit in Chanhassen, MN is $47.00 per month. What size storage units do you have available in Chanhassen, MN? In Chanhassen, MN we have sizes that range from 5'x5' to 12'x30' to suit your storage needs. How much is it for a 5'x5' storage unit in Chanhassen, MN? The cheapest 5'x5' storage unit in Chanhassen, MN is $47.00 per month. Chanhassen is a busy Minnesota suburb located just southwest of Minneapolis. It's home to a growing population that has been rapidly expanding over the past few decades. As recently as the 1960s, Chanhassen was home to just a few hundred people, but today more than 25,000 people call the city home. A strong economy, a family-friendly setting and numerous amenities have all played a part in nurturing the growth of this Midwestern community. The first settler to stake out a farm in what is now Chanhassen was Joseph Vogel, arriving in June 1852. Two months later, Joseph Kessler settled the next farm 4 miles northwest of Vogel. In 1853, many more settlers began to arrive, and on May 17, 1858, the name Chanhassen was officially chosen for the town. 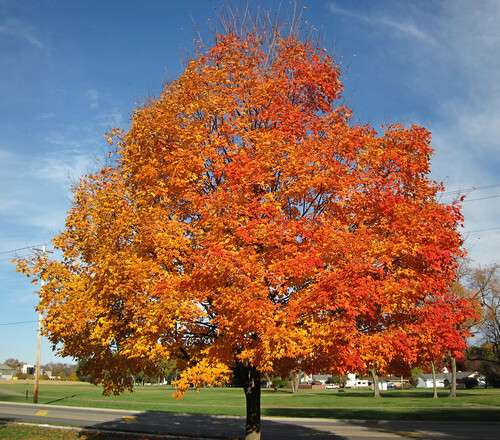 Many believe that early settler Clarissa Cleaveland chose the name because it's Dakota Sioux for "the tree with sweet sap," otherwise known as the sugar maple tree. In 1896, the Village of Chanhassen was officially incorporated. At the time, the town consisted of a general store, a feed store, a saloon, a lumber yard and a bank. While Chanhassen was one of the earliest settlements in the county, it was also one of the slowest to grow in its early years. However, a major population boom in the mid-20th century took the population from less than 200 in 1950 to nearly 5,000 in 1970. Even though Chanhassen is a relatively quiet suburban community, it still offers plenty of local attractions, entertainment and recreation to enjoy. The Minnesota Landscape Arboretum is an extensive natural garden and arboretum covering more than 1,100 acres and featuring the largest and most diverse horticultural collection in the state. Popular elements of the arboretum includes its Japanese Garden, cross-country skiing and hiking trails, perennial gardens and Meyers-Deats Conservatory. Paisley Park Studios, a former music studio belonging to iconic artist Prince, is another popular destination in Chanhassen. After his death, the studio was opened to the public as a museum, honoring his career and impact on the music industry. Chanhassen Dinner Theatres, the largest professional dinner theater in the country, is another part of the city's arts scene. Since its beginning in the 1960s, more than 10 million visitors have enjoyed performances at the theater. Eastern Carver County School District oversees the schools of Chanhassen. In addition to its traditional elementary, middle and high schools, the district has a family learning center, a kindergarten center and a community education center. Thanks to Minnesota's open enrollment statute, you have the option of enrolling your child in any district, provided there's classroom space. In addition to public schools, there are also several private campuses in Chanhassen. Utilities: The city manages water and sewer services, while primary energy providers include Xcel Energy, the Minnesota Valley Electric Co-operative and CenterPoint Energy. Garbage and Recycling: Several waste disposal companies are contracted by the city, but it's up to you to choose your provider. All companies provide trash and recyclables collection as well as disposal bins. Transportation: Public transit agencies in Chanhassen include SouthWest Transit, SmartLink Transit and Metro Mobility. Pets: While Chanhassen doesn't require pet licenses, owners must put identification on their pets that will help animal control contact the owner if the pet is lost. Additionally, all pets must be vaccinated against rabies. Pets are not allowed in city parks, but they can walk on local trails (on a leash). Homes in Chanhassen are generally more expensive than the national average, and also priced above many of those in neighboring communities. Local amenities and a convenient location contribute to the rising prices in the city, and the demand isn't expected to slow down anytime soon. You can find homes well above the million-dollar mark, but more affordable options are available too. A variety of home styles, sizes and price points should make it possible to find something that works for you. Our lowest priced units in Chanhassen, MN average $47.00 per month. 49 people have reserved units in Chanhassen, MN in the past 30 days. There is 1 location within Chanhassen, MN's city limits. There is 1 location in Chanhassen, MN that offers AC and Heating features.